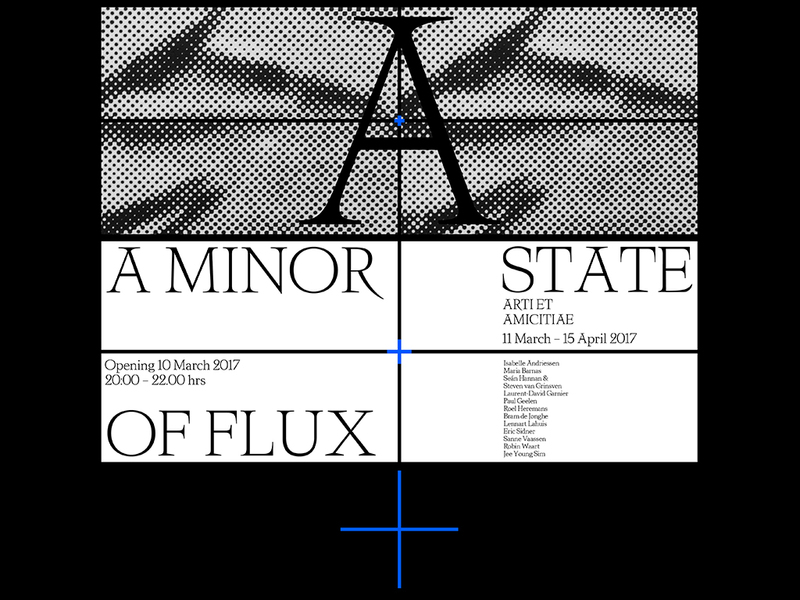 Earlier this year, designers Pauline Le Pape and Roosje Klap designed the identity for the exhibition ‘A Minor State of Flux’ at Arti et Amicitae in Amsterdam. 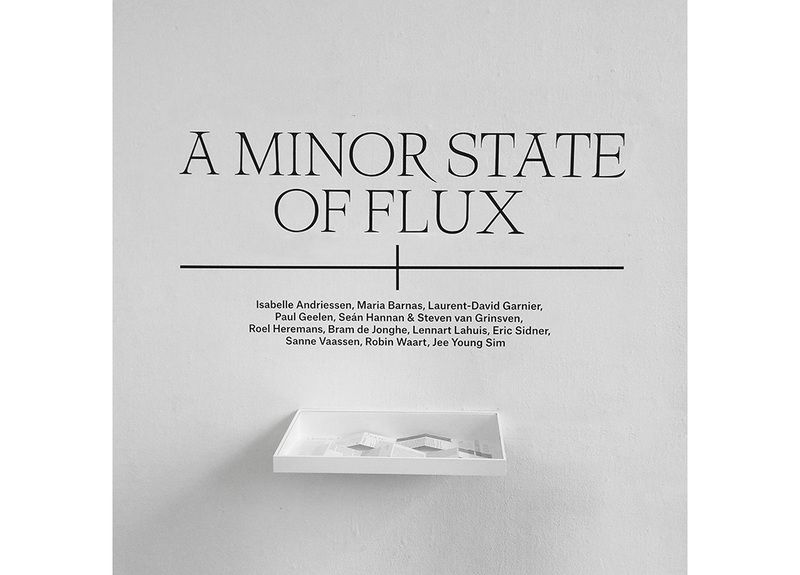 It was a group show focused on openness, rotation and mutation to reveal “a true scope of probability” in a playful manner. 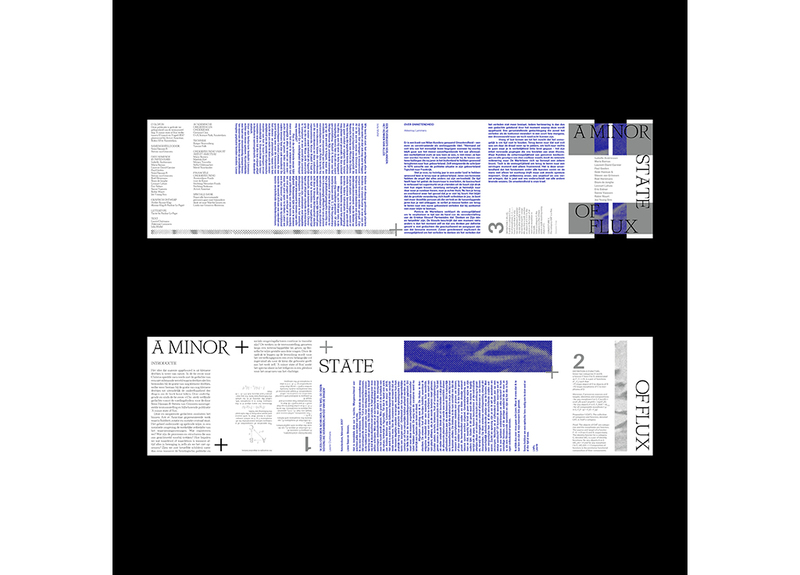 When it came to designing the identity, the pair took the notion of rotation as a starting point and used the mathematical symbol ‘+’ as a central motif around which everything else could rotate. It also worked as a versatile element that could be implemented across static and animated designs. 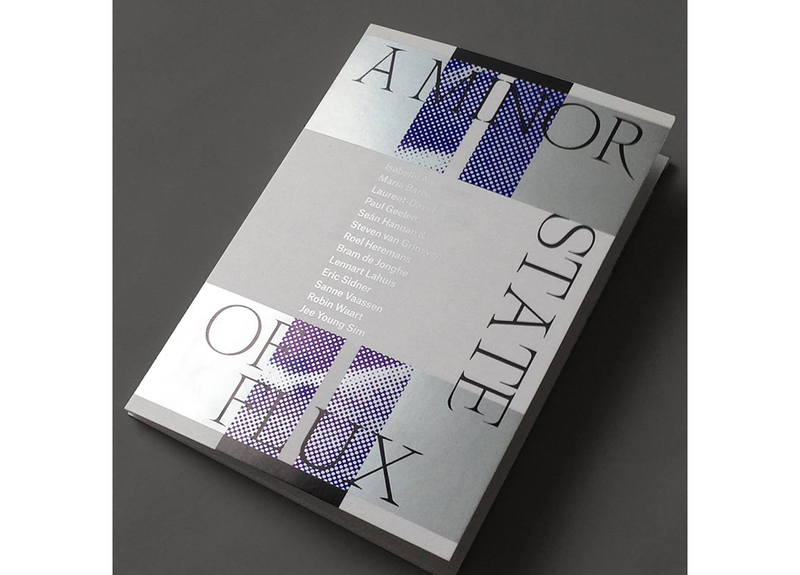 This was combined with a colour palette of blue, silver and black, as well as rasterised imagery to create a succinct and sophisticated identity that works across print, wayfinding and digital. 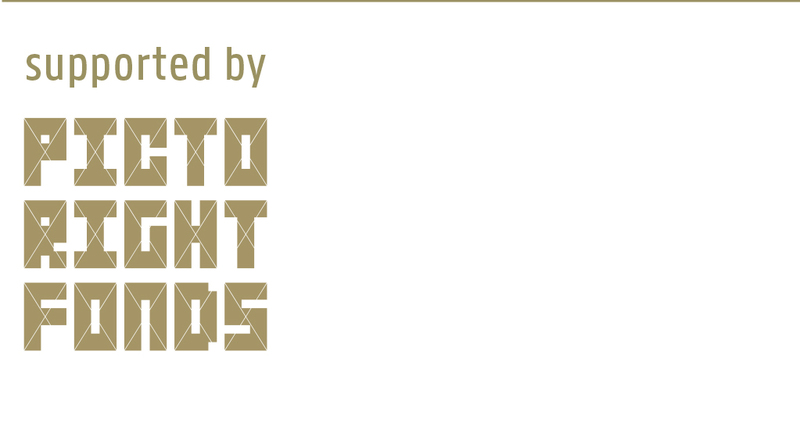 The typeface used was designed by Pauline and is called Tacite Light. 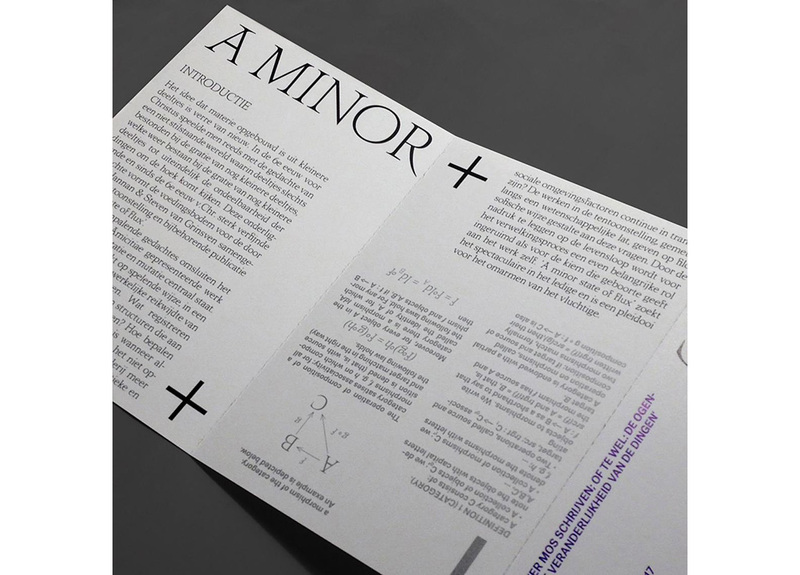 The font emerged from a brief that asked her to create a typeface based on a portrait. She chose a portrait of a young Johan Cruijff (the Dutch football player). Pauline: “Mostly because I liked the duality of his expression, which is both strong and fragile. 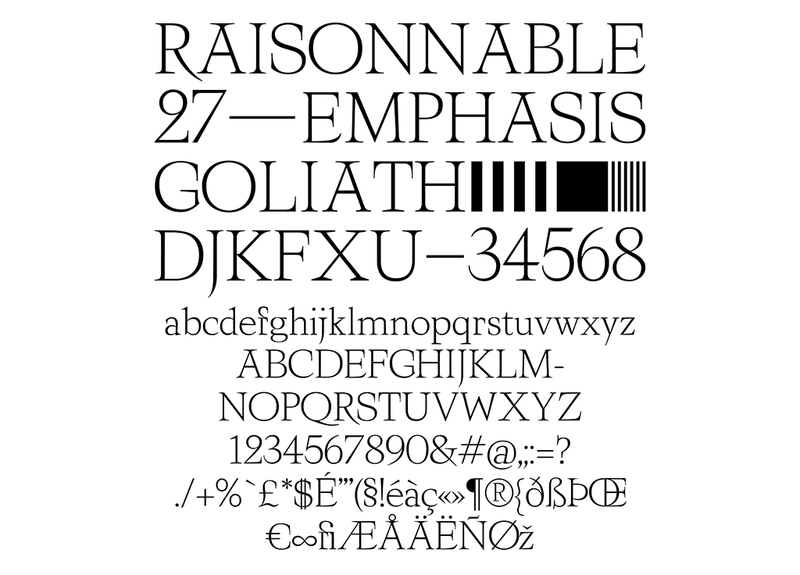 I wanted the typeface to be both thin/fragile, but also strong/spiky/catchy.” The design for Tacite Light is based on the style of the classical Roman capitals.